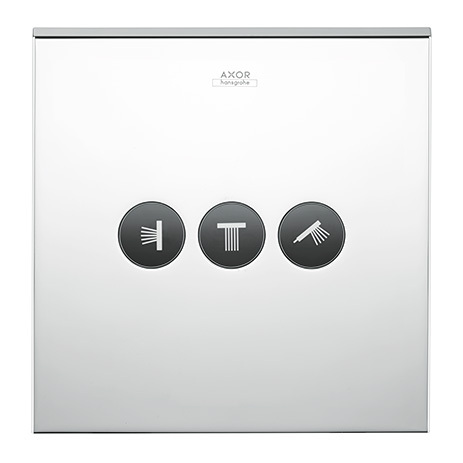 AXOR ShowerSelect makes showering more comfortable – thanks to user-friendly Select technology. 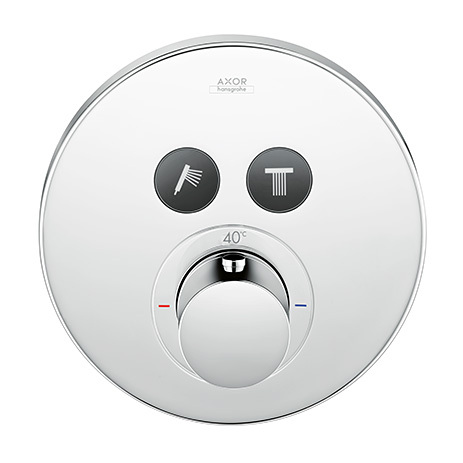 A little button guarantees an easier, more comfortable showering experience. 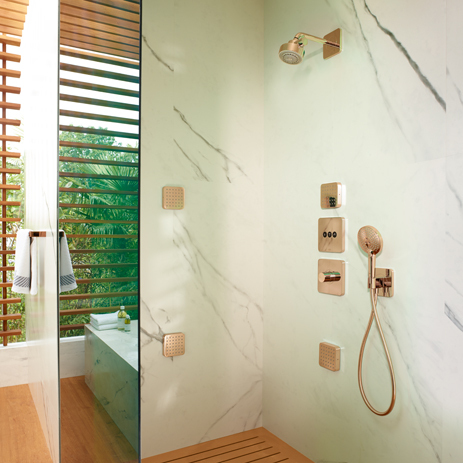 Hansgrohe's Select technology has made it easier for you to operate your shower, at the simple touch of a button. 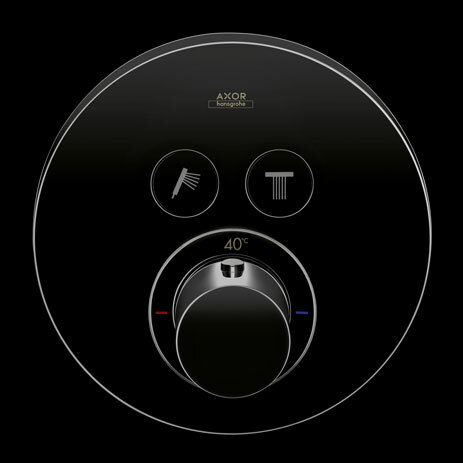 The AXOR ShowerSelect thermostats are equipped with little buttons – so that where you once had to rotate, now you just press: use the Select buttons to switch between different showers, such as the hand or overhead shower. 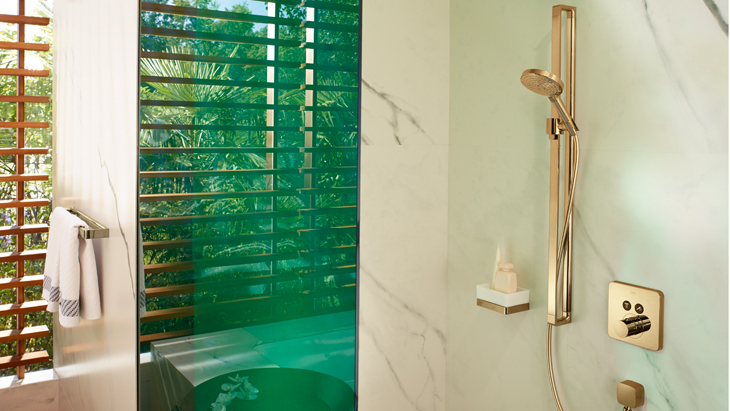 Therefore the shower is operated intuitively. 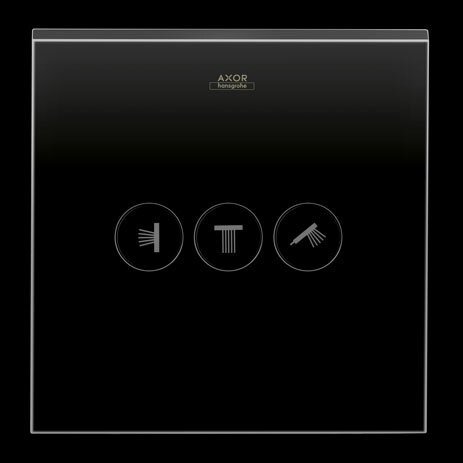 Thanks to the clear, white symbols on the black buttons, you will have no problem identifying which shower is selected. 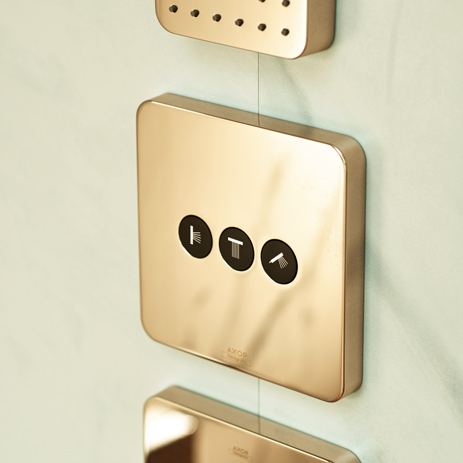 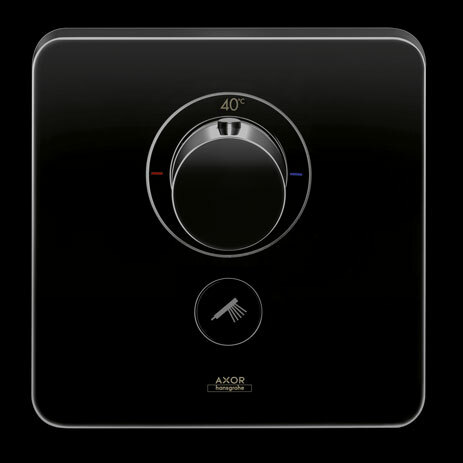 The elegant AXOR ShowerSelect thermostats come in several variants: ranging from one through to four different showers. 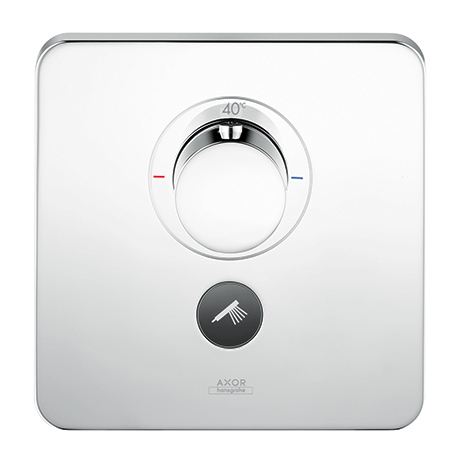 Select your favourite design from three different wall flange shapes: whether you go for the round, square or the softly rounded Softcube design – all shapes are clear and minimalist, so they can be effectively combined with a lot of other AXOR collections, while also endowing your shower with a touch of elegance and premium quality.